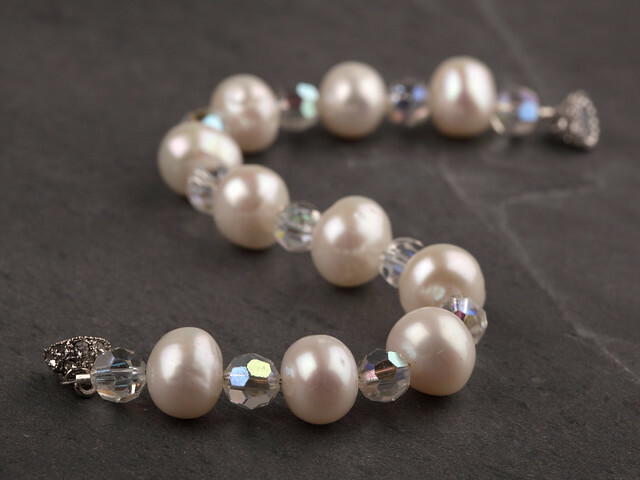 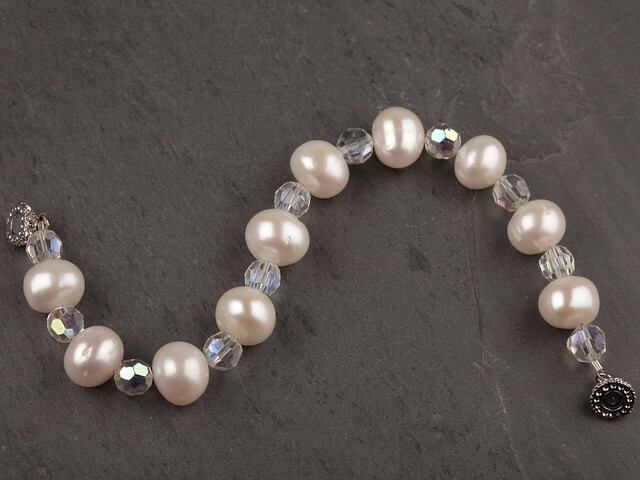 The natural lustre of giant-sized, freshwater pearls is complemented by iridescent cut crystal beads, salvaged from a vintage necklace. 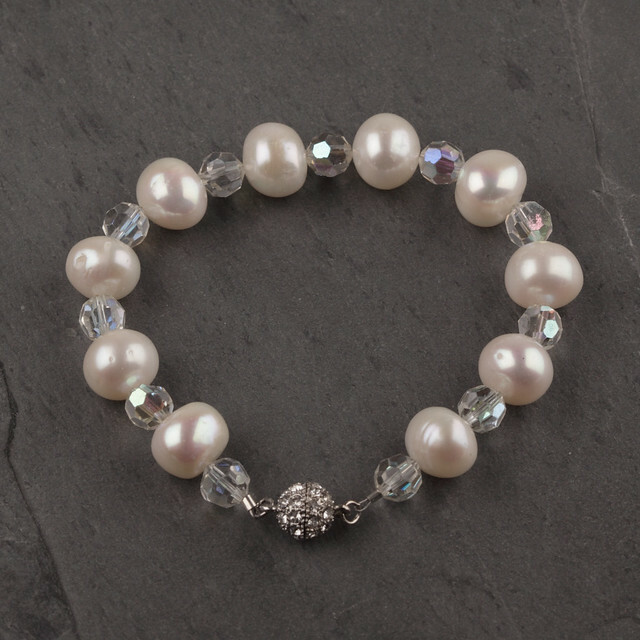 Perfect for brides and vintage belles. 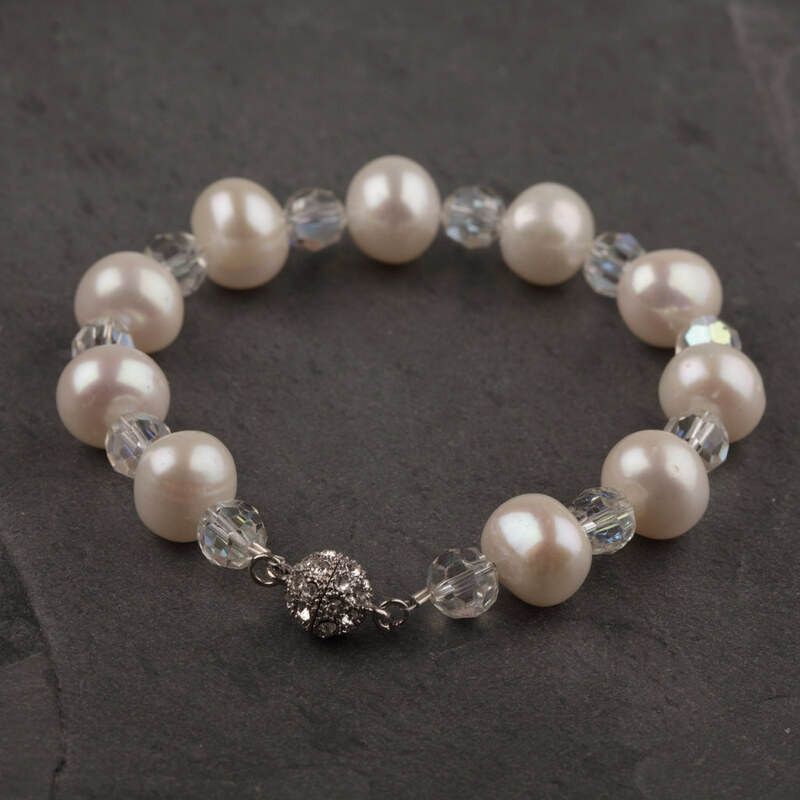 Sterling silver diamanté, magnetic clasp; sterling findings.